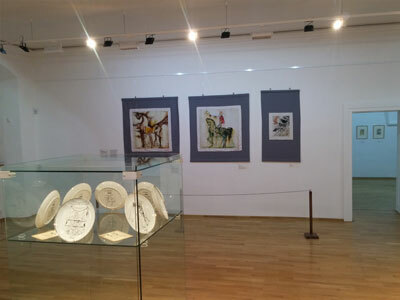 Following the success of this exhibition in Latvia, Lithuania and Poland, first time in Slovakia, original design works by Salvador Dali, are now in National Bank of Slovakia, MUSEUM OF COINS AND MEDALS in Kremnica and this exhibitions is realized in partnership with Collection Kesauri. Exhibition is open from 13/05/2017 to 13/08/2017 and is featuring 186 original design works of greatest master of our time. 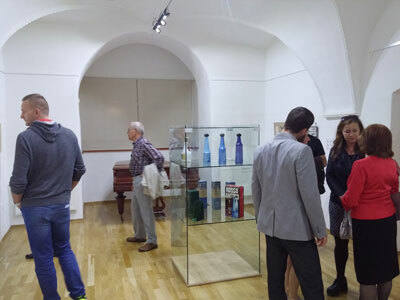 The aim of the exhibition "Design Works" is to help the public to see and understand how Dali materializes his views thanks to his special artistic language in the form of images, which often take an intangible aspect, but clearly are felt by spectator. 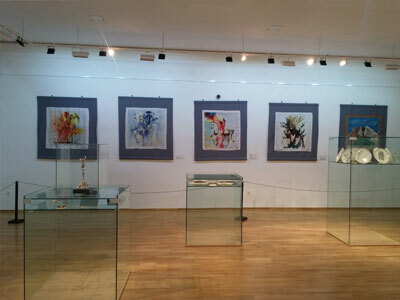 The exhibited works demonstrate Dali’s creative side, which are unknown to a wide audience, but nonetheless which are essential for the understanding of his art, fantastic world and artistic techniques used by Dali to implement it in a variety of forms and genres. On this point particularly interesting are his designs. 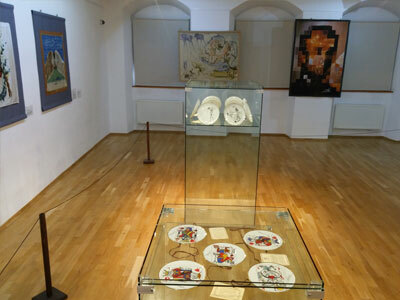 Personal items are also interesting, especially Necktie pins, undoubtedly made from Dalí’s layouts. 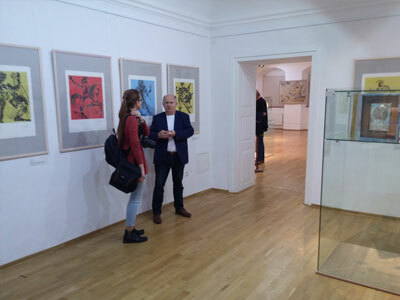 Curated by Kesauri Aleksandre, Kessaouri Vassili, in partnership with the Collection Kesauri. 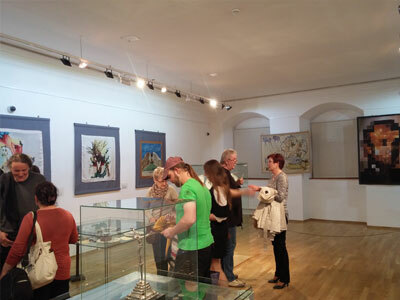 The exhibition "Design Works" is composed by exhibits from private collection of original works made by Salvador Dali : Serigraphs on silk, tapestries, lithographs, ceramics, works in bronze, silver, applied arts, and also Dali’s and Gala’s personal items and other memorabilia. The exhibition "Design Works" highlights the major key aspects of work of the greatest artist of our time - Salvador Dali and reveals unknown limits of his work. 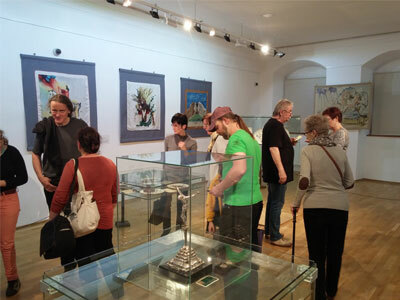 The exhibition also shows the interest of Dali to perfume and music - the works inspired by the flavors and sounds. 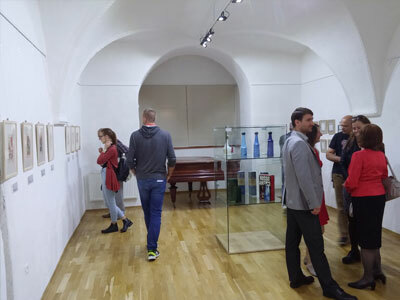 In general, the exhibition as much as possible approaches Dali to the viewer and shows undiscovered facets of his genius, what makes acquaintance with him interesting not only for professionals, but also for people just starting to study art. A multi-faceted talent, it was only natural for Salvador Dali to take an interest in fragrance - as it fell somewhere between art and fashion - another form of artistic expression. In 1981, after completing the Apparition of the Aphrodite of Knidos painting, he sketched a perfume bottle, drawing inspiration from the sensual lips and nose of the goddess of beauty and love. It is this sketch that would inspire the DALI cosmetics launched in 1983. Chosen by the Master, the feminine fragrance is a sensuous accord blending the rarest and purest varieties of jasmine, the flower he often wore tucked behind his ear as he painted, and rose. Louis XIV, called the “Sun King" or "Roy Soleil," was one of the monarchs who did the most to promote the importance and magnificence of France. Intrigued by his authority and power, Salvador Dali was also captivated by his sense of refinement and taste for luxury and the arts, which he too treasured. Modeling himself after the Roy Soleil, Salvador Dali wore the same thin moustache as the monarch, which greatly contributed to his fame. A refined and elegant dandy, he never went out without his walking stick, just like Louis XIV, it seems... He lived in a suite at the Paris Hotel Le Meurice, one the most luxurious hotels in the capital. In 1945, Salvador Dali completed a watercolor in tribute to the Roy Soleil, and a bottle of perfume for Le Roy Soleil by Elsa Schiaparelli. Later Roy Soleil inspiring Perfumes Salvador Dali to create a new fragrance collection. After the war, Salvador DALI transposed the phantasmagoric world of his paintings, made out of mania, obsessions and sensuality, to the Applied Arts, as well as to all forms of artistic expression, movies, literature, Pop’Art. Example of this are the present neckties that Salvador Dali makes between 40th and 70th years. 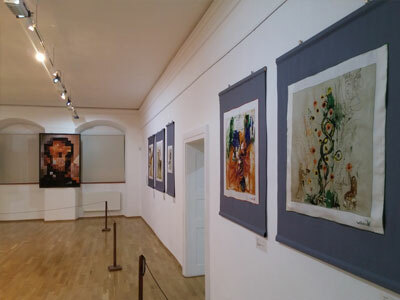 The exhibition demonstrates the fruits of Dali’s big efforts in realization of the unique metamorphosis - transformation of the provincial town of Figueres in one of the centers of world’s culture. 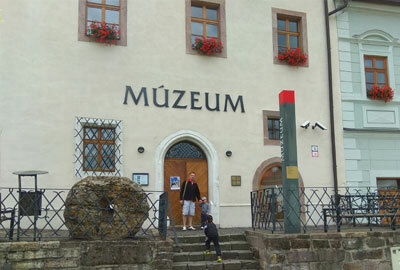 It is his design works for the promotion of Figueres and various activities conducted there and in the Dali’s Museum. Salvador Dalí’s meteoric rise to fame in popular culture earned him a celebrity reputation as ‘the first pop star of painting’ (Vincent Pécoil in Tate Etc, Spring 2005, vol. 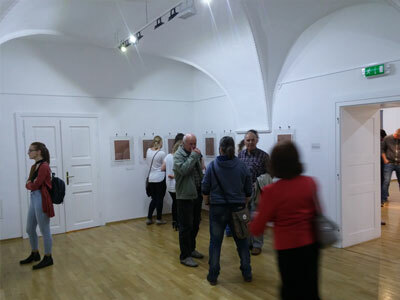 III). Dalí was incomparably savvy when it came to self-promotion and publicity; he designed front covers for Vogue, Town and Country and American Weekly and even launched his own newspaper Dalí News (a play on the New York Daily News) dedicated to his exhibitions, paintings and his other creative explorations. It is hardly surprising, therefore, that on moving to New York in the 1940s he was inundated with commercial assignments. In addition to his covers for Vogue, for which he once edited a whole edition, he assisted in jewellery design as well as advertising for lipstick, perfume, paints and tea. Perhaps one of his most recognisable designs is the daisy-shaped logo for Chupa Chups lolly pops which has barely changed since. Notable also among his advertising projects was his work for Bryan Hosiery, a firm which used newly developed and highly acclaimed synthetic fabric fashioned from nylon. Dalí created fifteen designs for the company, all featuring collage elements and playful arrangements of elegant interlocking legs. These designs appeared monthly in Harper’s Bazaar as full-page colour advertisements and the present work is one of the most successful and accomplished of these designs. Set against a serene classicising and architectural background, brick pillars merge seamlessly into long structured legs and interweave with further stocking-clad legs: a patchwork of seduction and elegance. Salvador Dalí’s very particular and fevered imagination transforms an illustration of a commonplace product into a surreal landscape of adventure and intrigue, testament to his reputation as a master of contemporary media. 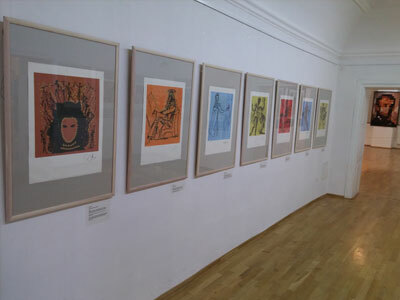 Dali was much enamored with Shakespeare’s work and he created lot of different artworks related to the genius of Shakespeare. Dali's involvement in the world of literature enabled him to be highly sympathetic in bringing to life this complete series of author's 15 medals, as example of his passion and admiration to Shakespeare. Immortalizing the XXIII Olympiad Los Angeles summer Olympic Games of 1984. The obverse of each medallion bears a different work of metallic art imagery depicting Dali’s personal interpretation of an Olympic sport. The common reverse of each medallion bears the official emblem of the United States Olympic committee as host of the Olympic games for 1984. 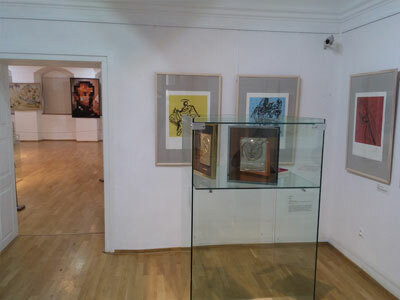 Medallions from the series "Twelve Tribes of Israel"
Salvador Dalí created the Twelve Tribes of Israel portfolio in 1973 to celebrate the 25th anniversary of the founding of the State of Israel. He was mystified by the awesome saga of the Jewish people and their renewal in Israel after 2000 years. Israel history incited his imagination inspiring several of his most magnificent creations. Each depicting one tribe, the obverse side contains another creation: "Hora Around the Menorah". The medals are minted in very limited quantity and are a stunning artistic collection, both unique and valuable. 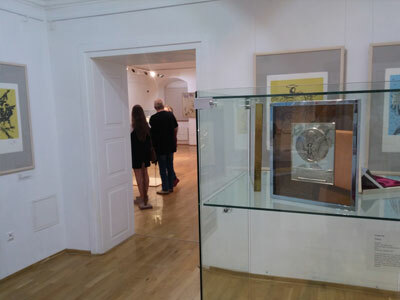 On exhibition are also presented several original memorabilia items relating to the purchase by Salvador Dali of a 1975 Cadillac for his wife Gala. Two beautiful stick pins owned by Salvador Dali. One with a Script "D" and the other with a filigree with tiny diamond. Both gifted by Dali to famous published author - Michael Delon, with original photograph taken by the last and letter with provenance from him. Housed in original case as gifted.